Forget Writing Newsletters, We've Created a Month's Worth of Beautiful and Informative Newsletters for You. We all know how critical it is to have a mailing list for a successful business…but there's one big obstacle that can keep you from leveraging your list and that's getting more subscribers, but great news! It's easier than you might think. Just keep in touch regularly, all the while delivering great content and advice. I'm Alice Seba and I've been publishing private label rights content since 2006. 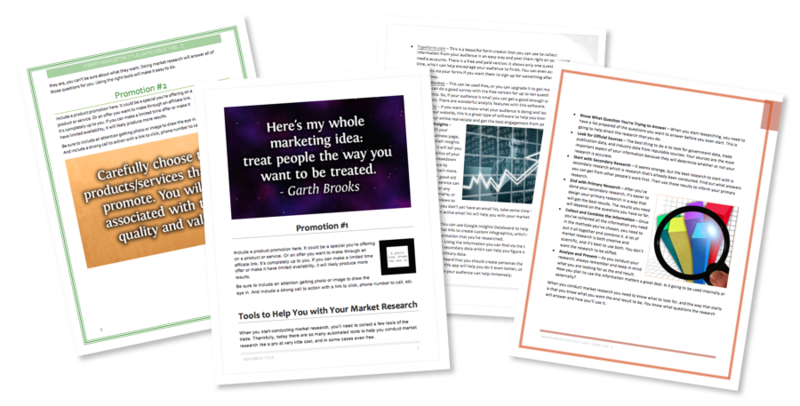 I'm pleased to announce our “Marketing Niche Ready-to-Go-Newsletter” that will give you a month's worth of newsletters to send to your subscribers. It's a brand new, never-before-released content for you. 4 Ready-to-Go Newsletters (.doc): You get 4 ready-to-go newsletters (.doc format that you can turn into downloadable PDFs) with 3 attractive designs to choose from. 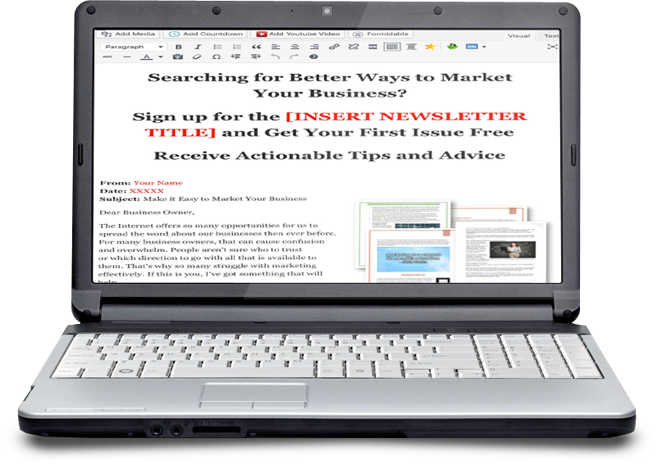 You can customize the newsletters with your logo, photo and other branding elements. 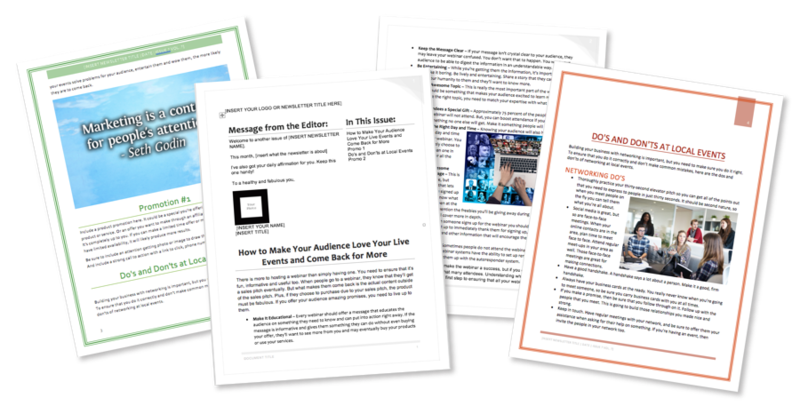 There is space for product promotions, so you can monetize your newsletters too. You can send the newsletters as is or swap out with the other content we've made available in the package. 16 Articles (.txt): Each newsletter already comes with 2 articles inside, but we've included a total of 16 articles, so you can choose different articles if you prefer. You can also use the content to create additional issues, post it to you blog, add it to social media or publish it wherever you'd like. 8 Eye-Catching Marketing Quotes Graphics (JPG / PSD): Four of these are included in the newsletters, but you get 4 extras and all the files (PSDs included for editing, if you want) to use on social media, on your blog and more to share helpful marketing quotes. 8 Marketing Tips Graphics (JPG / PSD): Four of these are inside the newsletters, but you get 4 extras and all the files (PSDs included for editing, if you want) to use on social media, on your blog and more to share helpful marketing tips with your audience. 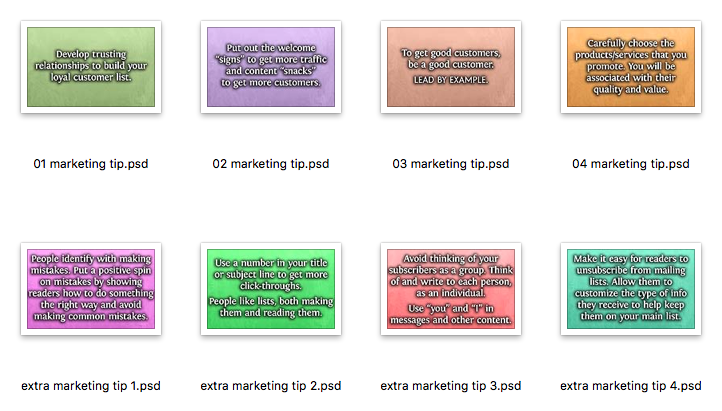 Help your subscribers market their business with these marketing tips graphics. 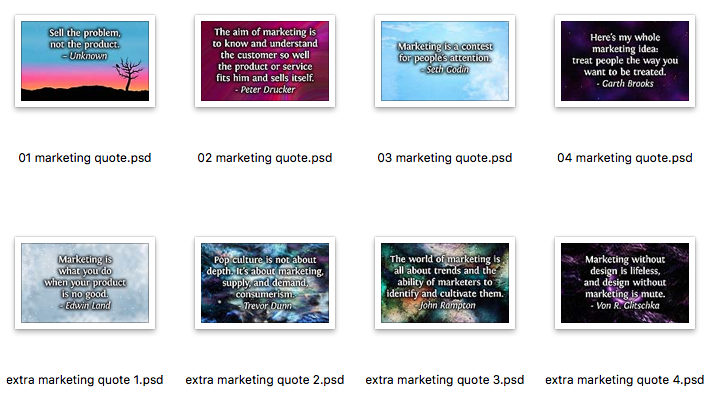 Four of these are inside the newsletters, but you get 4 extras and all the files (PSD included for editing, if you want) to use on social media or wherever you'd like. As you can see, it would take plenty of time and investment to put all this together on your own…but you don't have to. We've done the work for you and all you need to is publish the content, add your affiliate links and more. 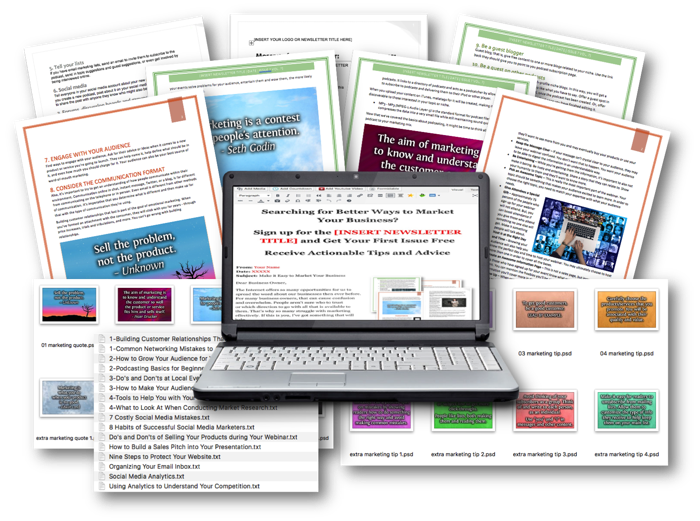 Grab it now for only $27 $77 ($2,150 cost to create yourself) for your PLR license, so you can save endless hours of time and plenty of money to provide your readers with the information they're looking for.